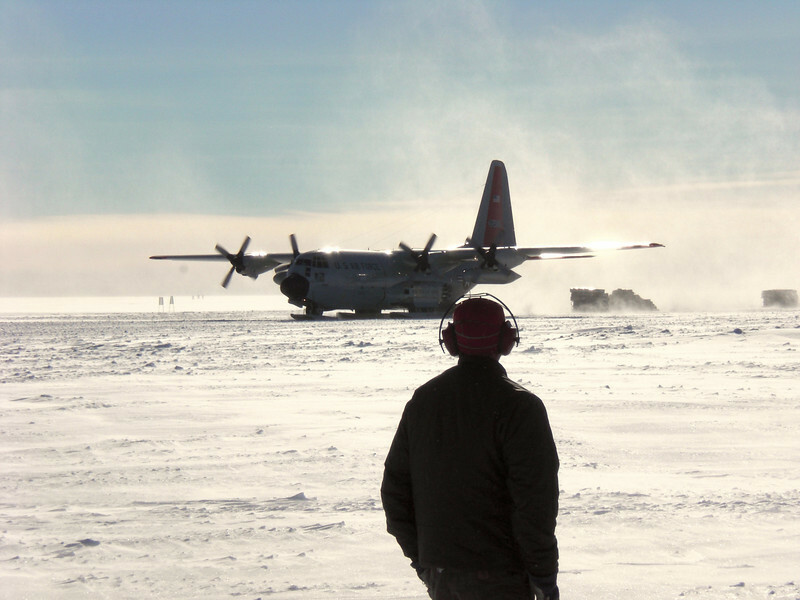 Hercules flights is the best way of transporting cargo to the ice. Plane is drifting the cargo while still in motion. Lasten skubbes ud mens flyet stadig er i bevægelse.